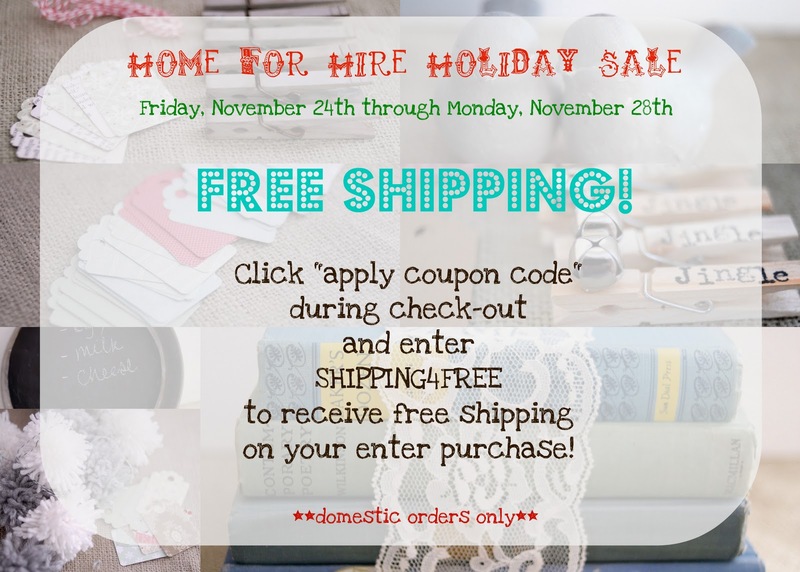 Home for Hire Holiday Sale--FREE SHIPPING! Need Christmas gifts? Want something fun to help gussy up your holiday gifts? Get free shipping on all domestic orders from Friday, November 25th-Monday, November 28th! Remember, 25% of each sale goes towards the family of the month! Click here meet November's family of the month!